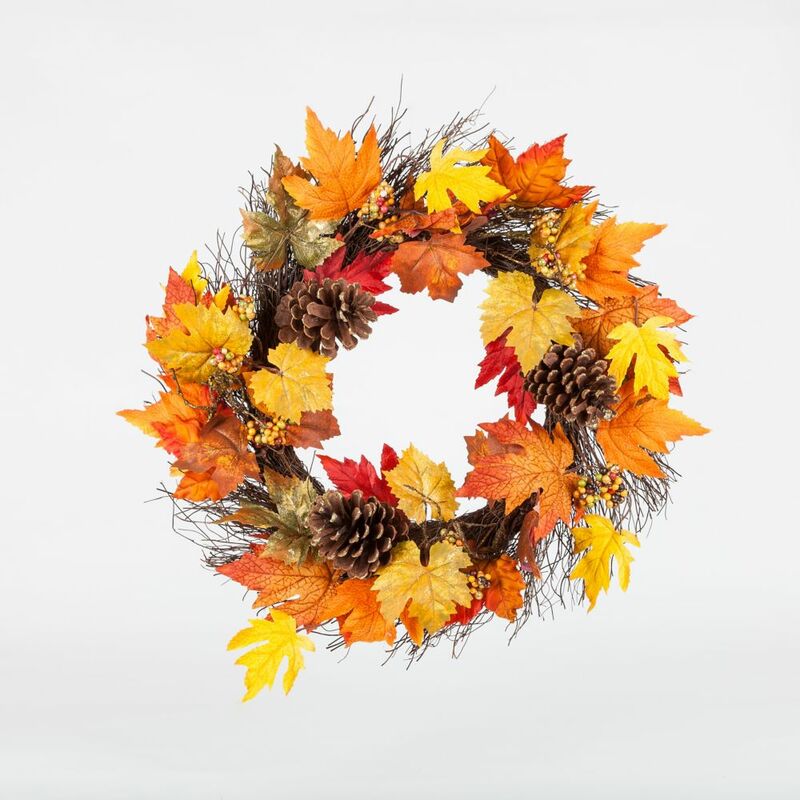 Add festive style to your holiday dicor with this Uberhaus pre-decorated artificial wreath. The holiday decoration is made of plastic for a lasting design that can be used year after year. The plastic needles give the wreath a full, lush look and the lights bring a warm and welcoming feel to your dicor. The Christmas wreath is decorated with branches and red berries, with a snow-dusted look that complements the season. Gold and silver ornaments are the focal point of this 30 in. Artificial Mixed Pine Wreath. Pine sprigs and gold antlers add the final touch. Hang above your fireplace or in your entryway to greet family and friends this holiday season. The perfect accent for a classic holiday celebration. This 28 inch Red Amaryllis Wreath is beautifully decorated with 36 lifelike red amaryllis. Ready to hang on a wall or above the mantel, this bright, cheery design will bring a warm festive spirit to any room. This Holiday Wreath, features a mixed Cashmere, Hard Needle Ring. Trimmed with red berries, leafs and pine cones. The 140 tips are mixed with 35 warm LED Lights adding the perfect lighting to your door for the Holidays.